Getting caught in a rainstorm can ruin your clothes and your day. Stay dry in any weather with the Blunt Umbrella. The aerodynamic umbrella is on sale for $59. The Blunt Umbrella is not your basic rain cover. The 37-inch rip-resistant polyester canopy will protect you from rain and wind up to 55 mph. You only need one hand to open and close the umbrella with the innovative Radial Tensioning System. Don’t worry about poking people on busy streets because, as the name suggests, the umbrella has blunt edges. If you have a Tile tracking device, the Blunt Umbrella is GPS-ready. Instead of wasting hundreds of dollars buying replacement umbrellas, buy the Blunt Umbrella to last a lifetime. 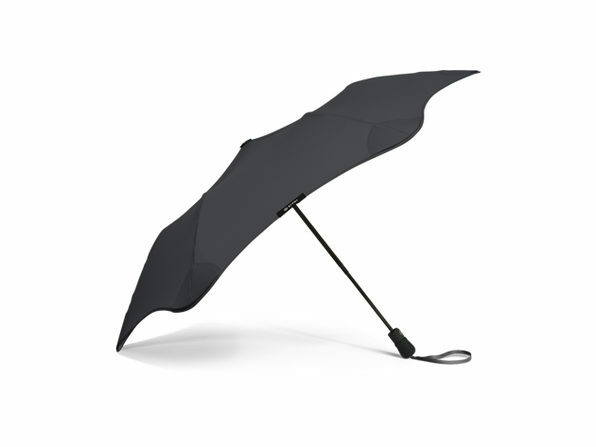 Never worry about the weather again when you buy the Blunt Umbrella in the Daily Caller shop for a sales price of $59. Get an extra 19% off to celebrate the new year by using the coupon code NEWYEAR2019 at checkout, bringing the price down to $47.79.